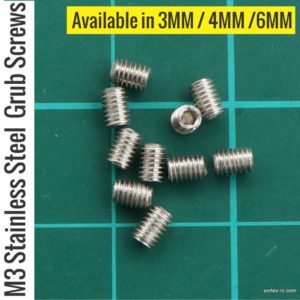 High quality, Stainless Steel Metric M3 Grub Screws. Stainless Steel makes these bolts durable, rust-resistance and high in strength. 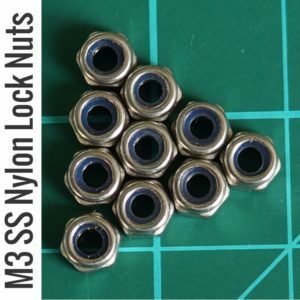 High quality, Stainless Steel Metric M3 Nylon Insert LockNuts. Includes 10 Pcs per package. 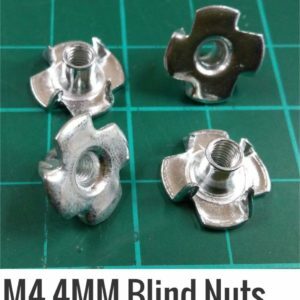 M4 4MM Blind Nuts 4Pcs Stainless Steel. 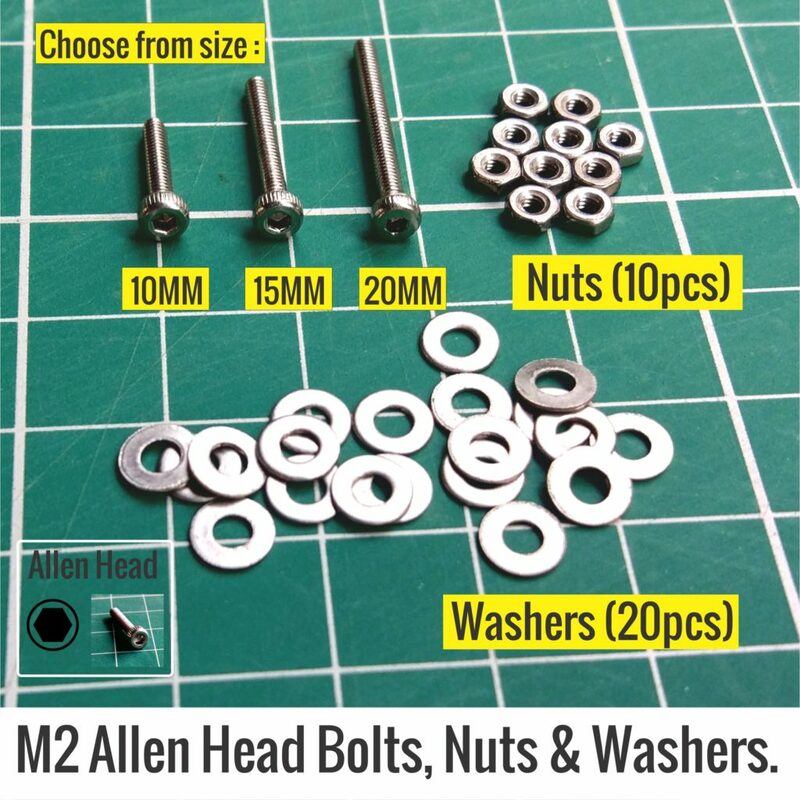 High quality, Stainless Steel Metric M3 Allen Bolts (20) + Washers (50) + Nuts (20). 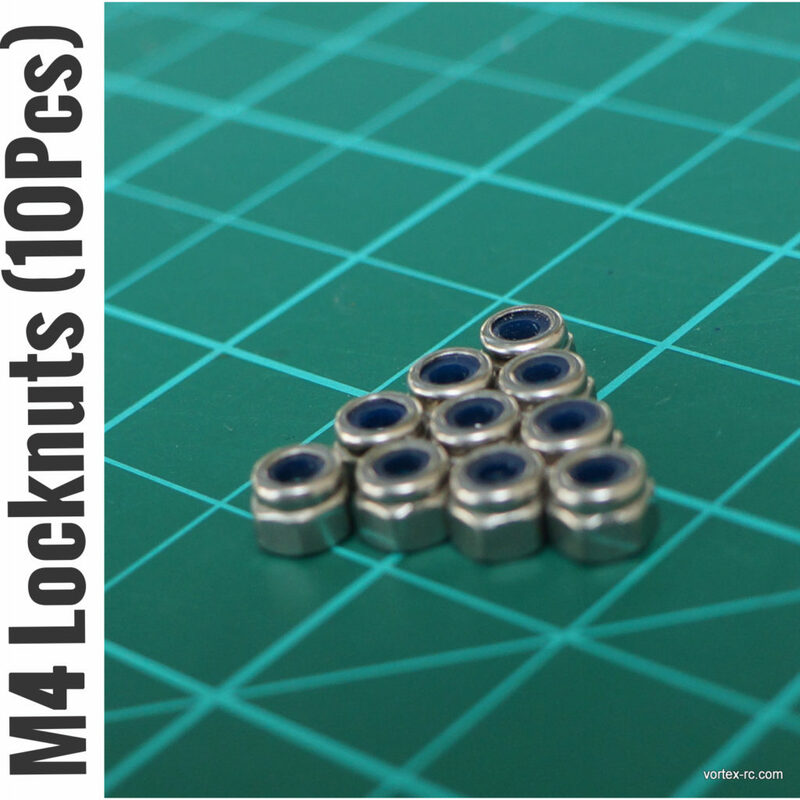 High quality, Stainless Steel Metric M4 Nylon Insert LockNuts. Includes 10 Pcs per package. 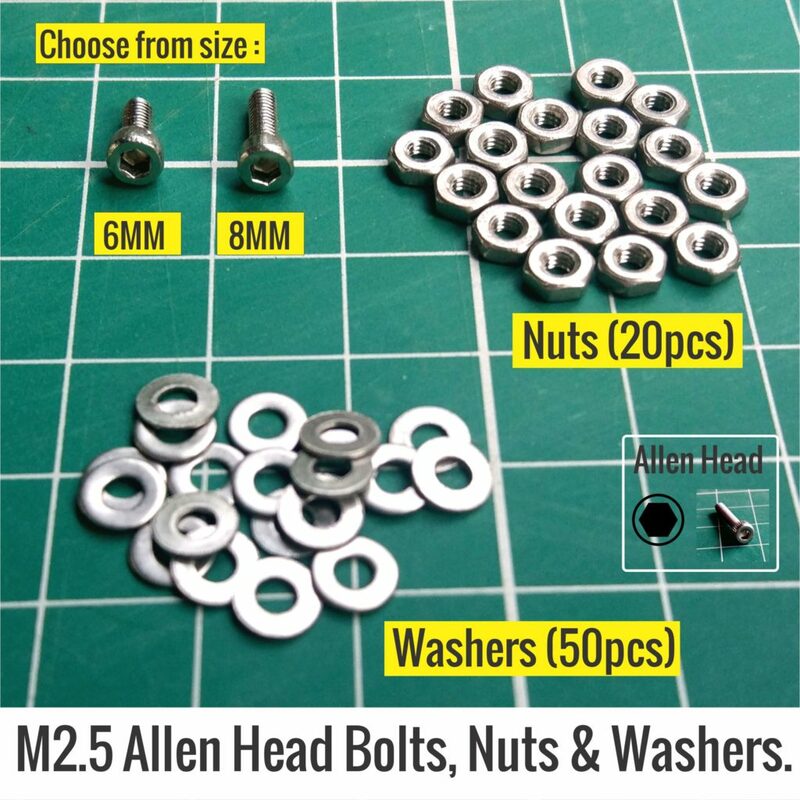 High quality, Stainless Steel Metric M4 Allen Bolts (20) + Washers (50) + Nuts (20). 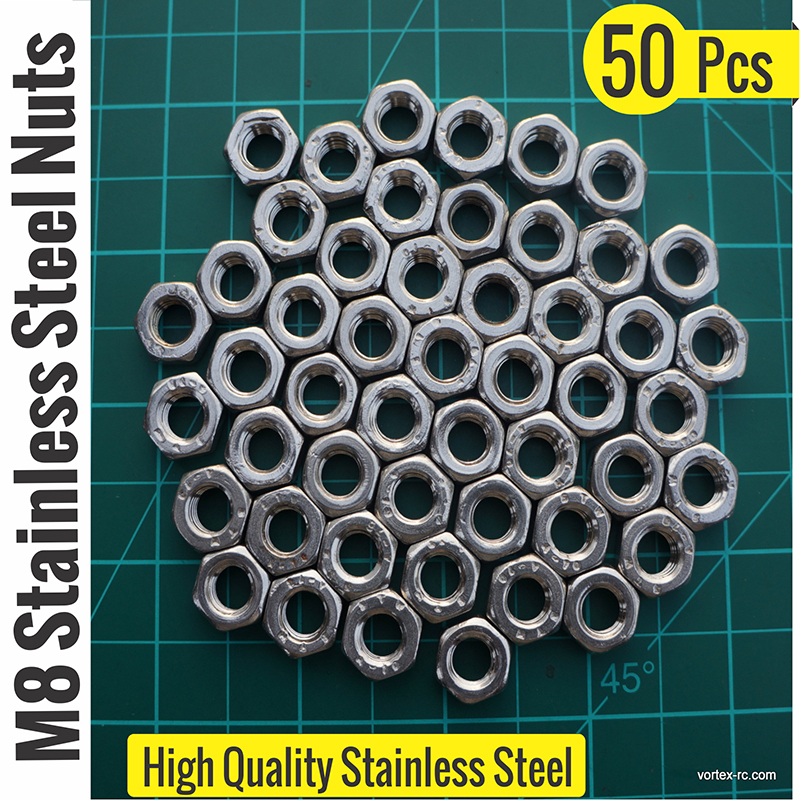 High quality, Stainless Steel Metric M8 Nuts. Includes 50 Pcs per package. 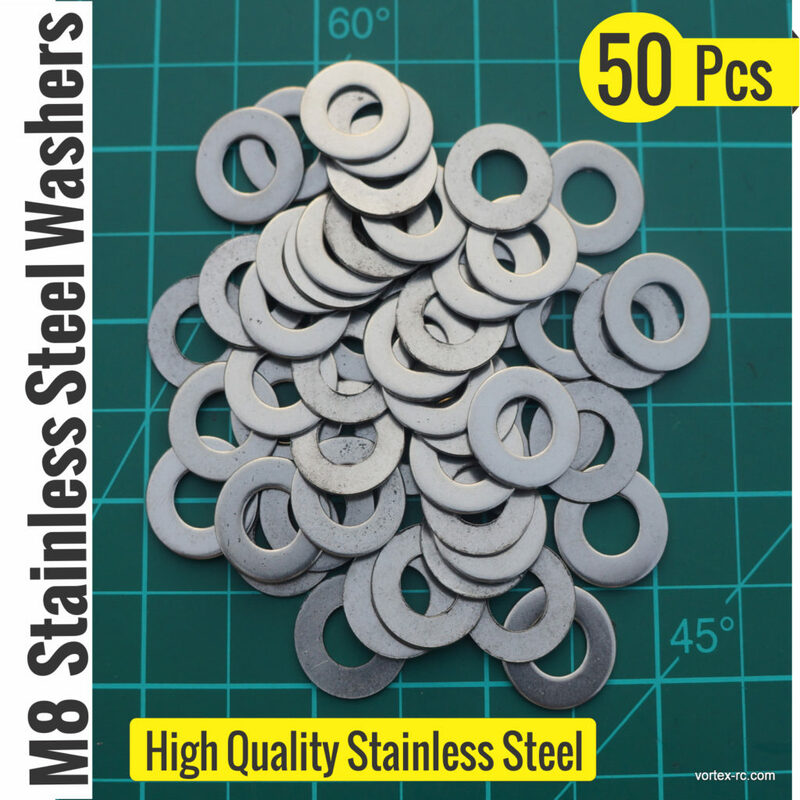 High quality, Stainless Steel Metric M8 Washers. Includes 50 Pcs per package. 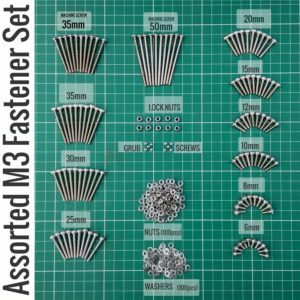 Metric M2 Stainless Steel Allen Hex Socket Screw Bolt Nuts & Washer set. 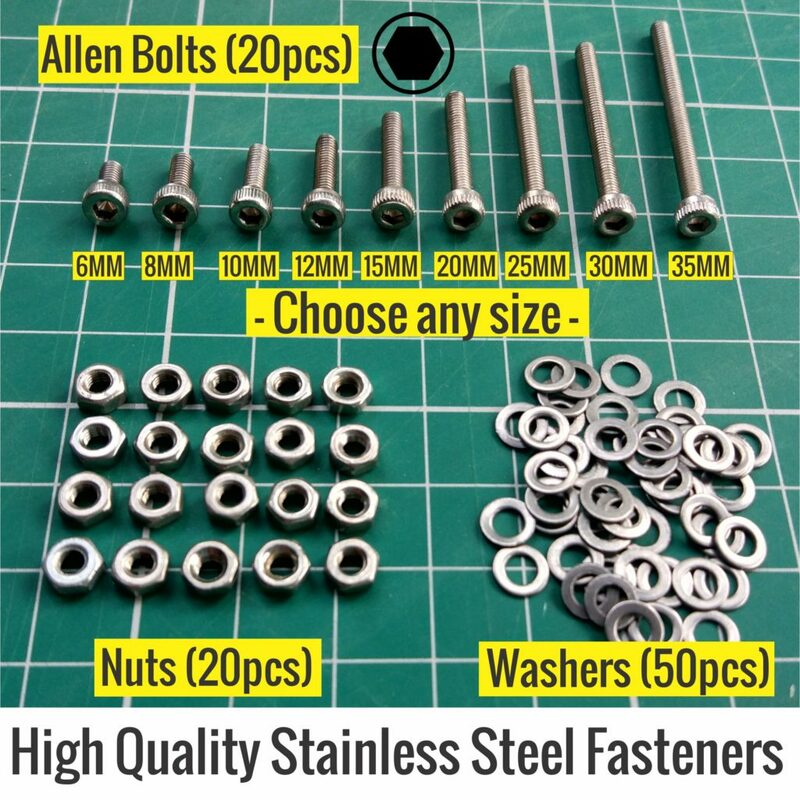 High quality, Stainless Steel Metric M2 Allen Head Bolts. Stainless Steel makes these bolts durable, rust-resistance and high in strength. 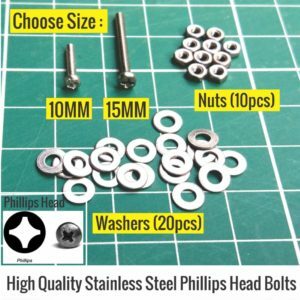 High quality, Stainless Steel Metric M2 Phillips Head Bolts. Stainless Steel makes these bolts durable, rust-resistance and high in strength. 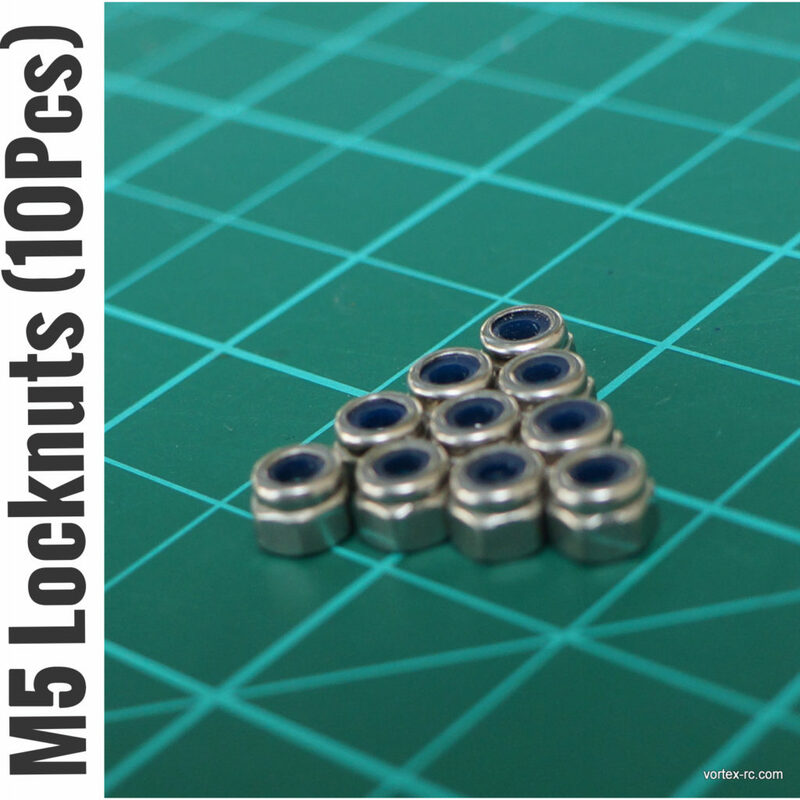 Metric M2.5 Stainless Steel Allen Hex Socket Screw Bolt Nuts & Washer set. 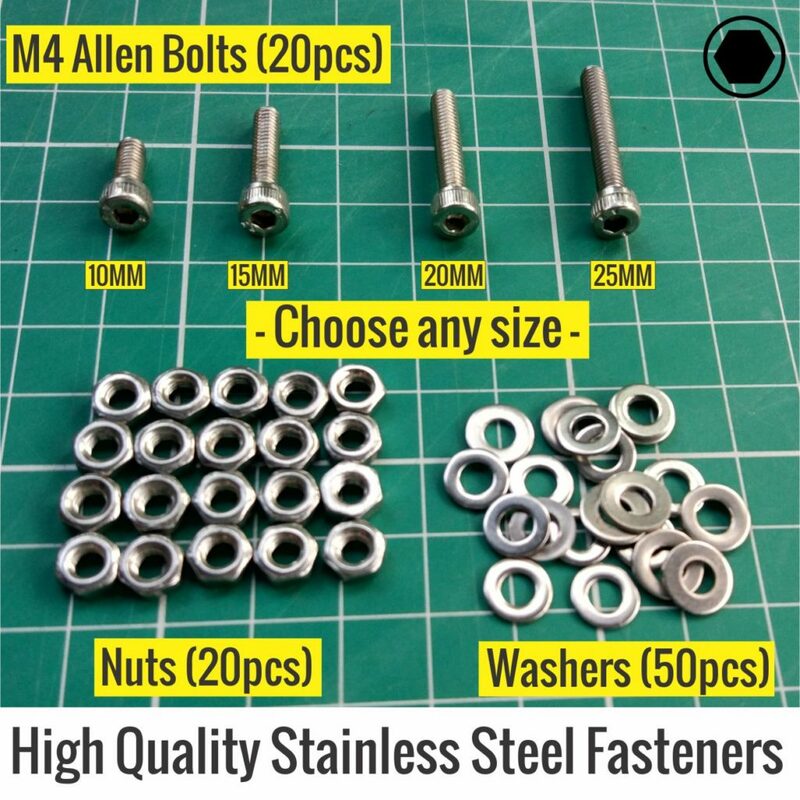 High quality, Stainless Steel Metric M2.5 Allen Bolts. 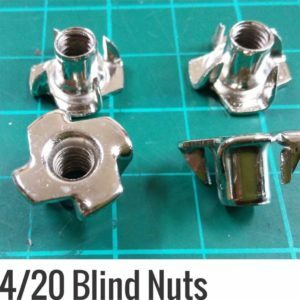 Stainless Steel makes these bolts durable, rust-resistance and high in strength. 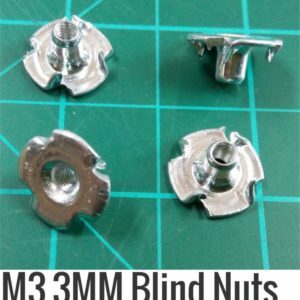 Also known as : Socket Head Cap Screws or M2.5 or M2.5 Hex Bolts. 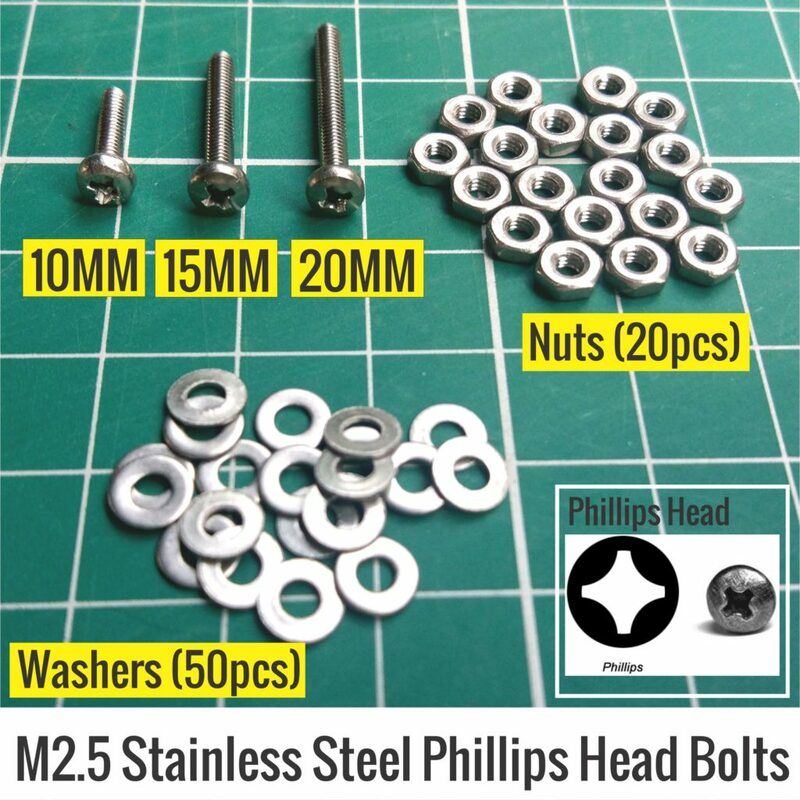 High quality, Stainless Steel Metric M2.5 Philips Bolts. Stainless Steel makes these bolts durable, rust-resistance and high in strength. Also known as : Socket Head Cap Screws or M2.5 or M2.5 Hex Bolts. 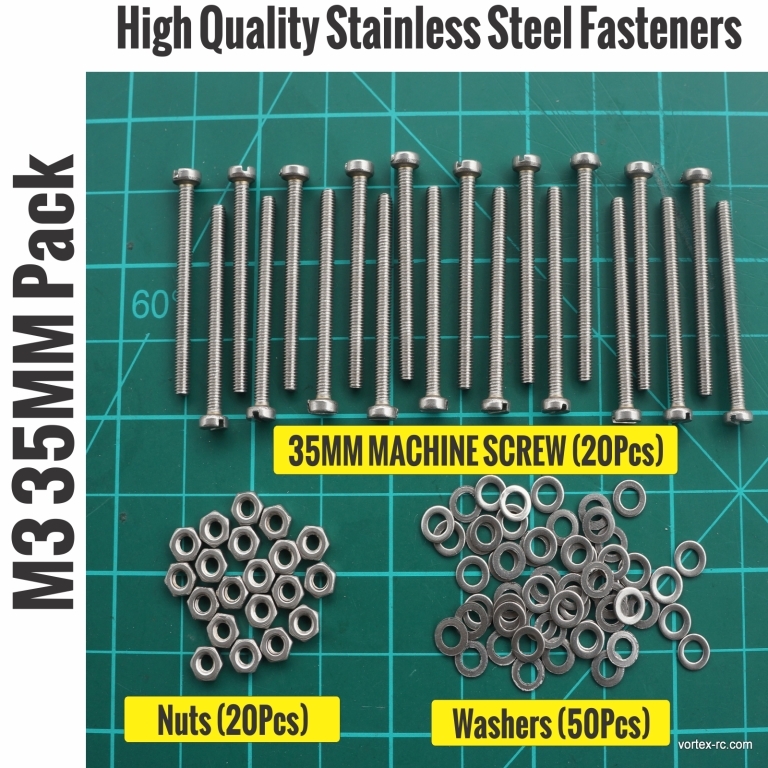 High quality, Stainless Steel Metric M3 35MM Stainless Steel Flat Head Machine Screw Nuts & Washers (20Pcs). Stainless Steel makes these Washers durable, rust-resistance and high in strength. 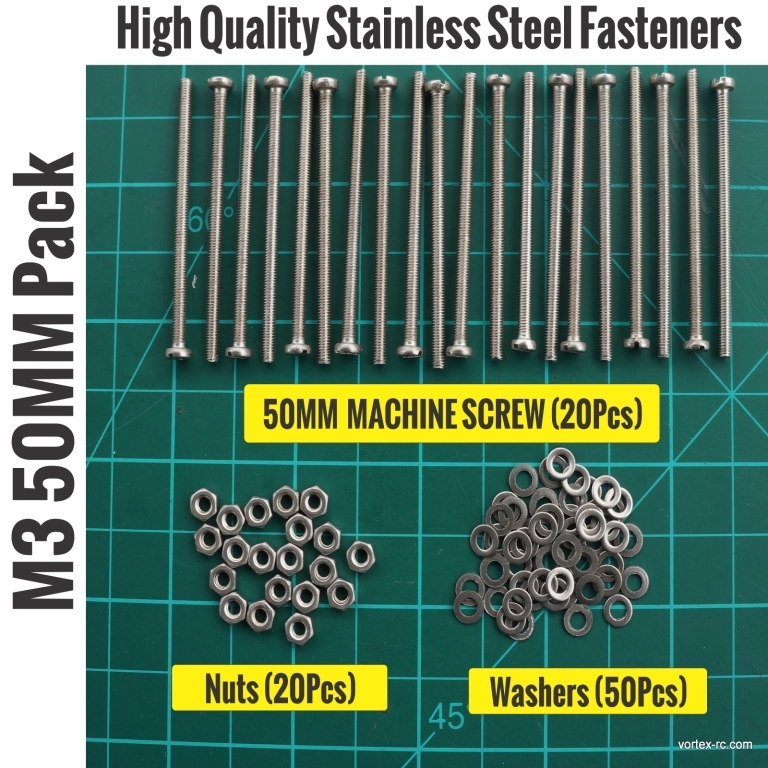 High quality, Stainless Steel Metric M3 50MM Machine Screw (20Pcs). Stainless Steel makes these Washers durable, rust-resistance and high in strength.